Sir, it is a universal agreement that every man should help the needy as much as they can. Not only would it help the poor but it would also erase the sins and replace them with good deeds. (Describe in your own words). This is the main objective of our organization ‘Save the World’ which helps the poor men, women, and children in Africa who do not even have supplies of fresh water. (Explain the actual cause and situation). For this purpose, we would like to place 3/5 donation boxes (more/less) at your checkout section so that people can donate some money that would eventually affect the lives of poor people. (Explain all about the process). Even the minimal amount can save the lives of many innocent people. (Describe your requirements). Therefore, kindly accept this request and allow us an opportunity to make this world a better place to live for everyone. Thank you for your kind gesture. I am writing for special thanks on behalf of [company name] for your favor to [company name] by placing donation boxes at [business name] Stores. You will be happy to know that we are receiving good response from all the donation boxes at [business name] Stores and covering the dues for a number of students at [company name]. (Describe in your own words). We are expanding our operations and a new floor of Defence Campus completed recently. Now we are also ready to increase the number of our students on Defence Campus. (Explain the actual cause and situation). 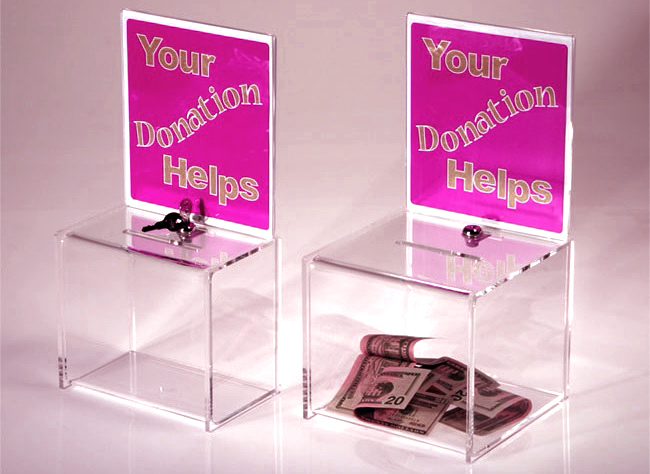 I would like to request you to please place our more donation boxes at [business locations] branches as well. (Describe your requirements).